Security is typically something that most of us don’t give a second’s thought to until it is too late. Website security is often a top concern for WordPress site owners. While some 27% (and growing) of all websites on the Internet are powered by WordPress, because of its popularity the CMS is often targeted by hackers. However, that doesn’t mean your site has to fall victim to malicious behaviour. While no system is 100% hack-proof, there are certain measures you can take to prevent a hacked WordPress site. To reduce your chances of being affected by a disastrous brute-force or DDoS attack, read below for the most important WordPress security tasks you should implement to secure a WordPress website and become more proactive against potential threats. To compound matters, you may find yourself being held at ransom by hackers just to regain access to your website. In 2016, Google reported that over 50 million website users have been warned about a website they’re visiting may contain malware or steal information. The most common WordPress hacking attempts use stolen passwords. You can make that difficult by using stronger passwords that are unique to your website. Not just for the WordPress admin area, but also for FTP accounts, database, WordPress hosting account, and your email addresses. The top reason why people don’t like using strong passwords is that they’re hard to remember. So either write down your password in a secure location or use a password manager. Another way to reduce the risk is to not give anyone access to your WordPress admin account unless you absolutely have to. If you have a large team or guest authors, then make sure that you understand user roles and capabilities in WordPress before you add new user and authors to your WordPress site. 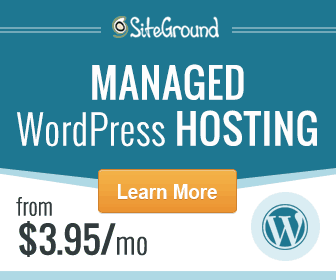 Your WordPress hosting service plays the most important role in the security of your WordPress site. On shared hosting, you share the server resources with other customers. This opens the risk of cross-site contamination where a hacker can use a neighbouring site to attack your website. We understand that improving having to secure a WordPress website can be a terrifying thought for beginners. Especially if you’re not the techy type. Backups are your first defence against any WordPress attack. Remember, nothing is 100% secure. If government websites can be hacked, then so can yours. There are many free and paid WordPress backup plugins that you can use. The most important thing you need to know when it comes to backups is that you must regularly save full-site backups to a remote location (not your hosting account) Plugins such as Updraft Plus can save your full site to Dropbox or a file location of your choosing. In the old days, the default WordPress admin username was “admin”. Since usernames make up half of the login credentials, this made it easier for hackers to do brute-force attacks. However, some 1-click WordPress installers still set the default admin username to “admin”. If you notice that to be the case, then it’s probably a good idea to switch your web hosting. By default, WordPress allows users to try to log in as many time as they want. This leaves your WordPress site vulnerable to brute force attacks. Hackers try to crack passwords by trying to log in with different combinations. Hackers use directory browsing to find out if you have any files with known vulnerabilities, so they can take advantage of these files to gain access. Directory browsing can also be used by other people to look into your files, copy images, find out your directory structure, and other information. It’s highly recommended that you turn off directory indexing and browsing. Adding a security question to your WordPress login screen makes it even harder for someone to get unauthorised access.